Walter Hundley: Charleston Workers’ Compensation Attorney from PJP on Vimeo. Walter is a graduate of the University of South Carolina School of Law and has dedicated the last twenty-five plus (25+) years of his career to the representation of injured workers. Walter Hundley is a workers’ compensation attorney based in Charleston, South Carolina, serving the entire region and representing those who have sustained a workers’ compensation injury. In South Carolina, a work-related injury often entitles you to benefits, such as medical and wage loss benefits. South Carolina workers’ compensation is a no-fault insurance policy paid for by employers, covering employees who have sustained a work-related injury. Unfortunately, many workers who are genuinely injured on the job find they have a difficult time getting the benefits they deserve without the assistance of a workers’ compensation lawyer. If you are injured in South Carolina and your worker’s compensation case has been denied or you are having difficulty getting treatment or payment while you are written out of work by an authorized doctor, contact Walter Hundley to get advice. If you encounter any difficulty and need a workers’ compensation lawyer, Walter Hundley is here for you. Why Turn to Walter Hundley When You Need a Workers’ Compensation Attorney? When you are considering work-related injury lawyers in your area, you need to find a local attorney as well as an experienced workers’ compensation lawyer who will be committed to helping you get the benefits to which you are entitled. Walter Hundley has been representing Claimants in workers’ compensation cases for the past 25+ years. He has spent countless hours at the negotiation table and in courtrooms representing clients. Before becoming a Claimant’s attorney, he worked for an insurance defense firm. The five years of experience he gained there means he knows how insurance companies work, how they try to deny workers’ compensation cases, and how they try to avoid settlement. Mr. Hundley can put his knowledge from both sides of the negotiating table to work for you, to ensure you get the outcome you need. Attorney Hundley has more than two and a half decades of experience handling many types of workers’ compensation cases. He can help injured workers who have lost the use of a body part seek a fair workers’ compensation settlement, as well as help move settlement negotiations which have been lagging. He has also helped many injured workers whose workers’ compensation payments have been denied, delayed or stopped. In situations where insurance carriers allege employees do not qualify for workers’ compensation injury payments, act in bad faith or work to avoid making necessary workers’ compensation payouts, Attorney Hundley works to get prompt and fair payments for workers he represents. Mr. Hundley believes that people who have worked hard their whole lives deserve fair treatment when they are injured, and he works hard to ensure they are treated fairly when it counts. Mr. Hundley has helped workers across a wide range of sectors and professions secure settlements. Regardless of your profession, you can rely on Walter Hundley when you are injured on the job. 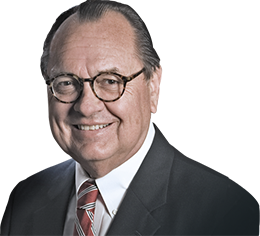 Walter was appointed to the South Carolina Workers’ Compensation Commission in 1989 by Governor Carroll Campbell and served for a five-year term. 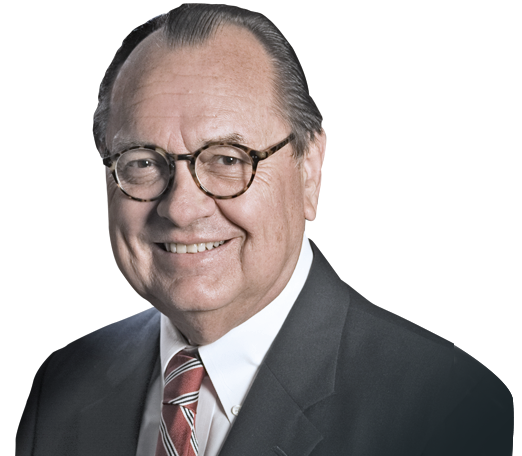 During his term, Walter served as Chairman and also played an integral role in drafting the Regulations of the South Carolina Workers’ Compensation Commission. In 1995, Walter opened his own practice in Charleston, SC, where he focuses solely on the representation of those injured on the job. Walter is a former South Carolina State Senator and currently serves as a Member of the Charleston County Aviation Authority. Mr. Hundley has also served as President of the Southern Association of Workers’ Compensation Administrators and as Chairman of the Governor’s Advisory Committee on Improvement of Workers’ Compensation Laws. Walter is a co-author of the First Edition of The Law of Workers’ Compensation Insurance in South Carolina. Walter utilizes his legal knowledge and extensive experience in the area of workers’ compensation to provide each of his clients with compassionate and professional representation. Mr. Hundley was awarded the Order of the Palmetto by Governor Campbell in 1995 for his public service to the State of South Carolina. Outside of the office, Walter is an avid outdoorsman and enjoys spending time on Wadmalaw Island with his wife and three children. If you or a family member has been injured on the job, please contact the Law Office of Walter Hundley. We offer free consultations and flexible appointment times.